On this page you can get an information for our current prices and services. 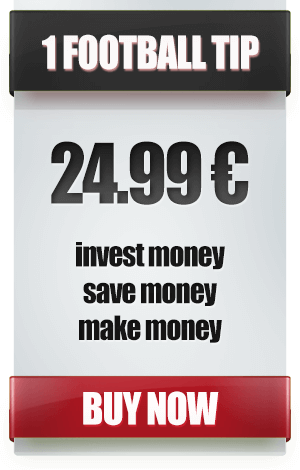 “1 FOOTBALL TIP – 24.99€ “: The fastest and easiest way to trust us. This service was created for customers who wants to check our confidence once. It has nothing in common with “CHALLENGE TIPS”. Our team gives you 1 prediction depended on the program of the particular day. Sometimes the prediction could be “single” and sometimes – “combo”. The main goal is always to give you a coefficient between 1.70-2.70. 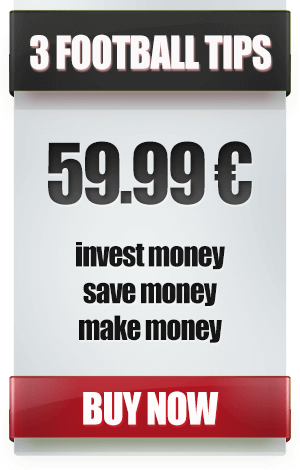 “3 FOOTBALL TIPS – 59.99€” : This service works the same way as “1 FOOTBALL TIP”. Our team give you 3 predictions with coefficient between 1.70-2.70. It was created for customers who don’t want to commit for a long-period of time. If you are not able to spend a lot of money in the begginning this is your right service. 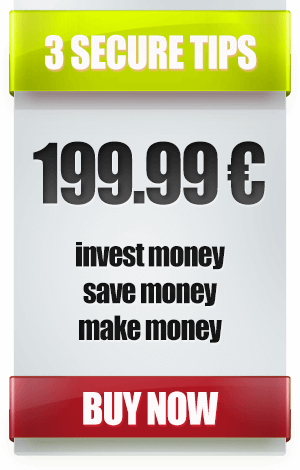 “1 MONTH TIPS – 399.99€” : This service works the same way as “1 FOOTBALL TIP” and “3 FOOTBALL TIPS”. We give you football tips for 1 month. The service was created for customers who want to commit for a long-period of time. The main goal is always to give you a coefficient between 1.70-2.70. 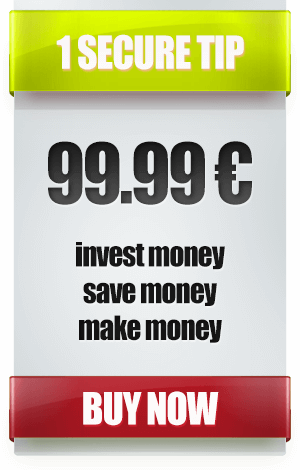 “1 SECURE TIP – 99.99€” : This service contains more than 90% confidence. That is why the price is higher than the other services. We give you single football tip from reliable source with coefficient newer lower than 1.70. “3 SECURE TIPS – 199.99€” : This service contains more than 90% confidence. That is why the price is higher than the other services. We give you 3 single football tips from reliable source with coefficient newer lower than 1.70. *In case your desire is to obtain any of our services, just click on the pay-banner and make a payment. Our team will contact to you as soon as possible to discuss any details you are interested in.